Hey there Outlaws, the Bebop crew is at it again! 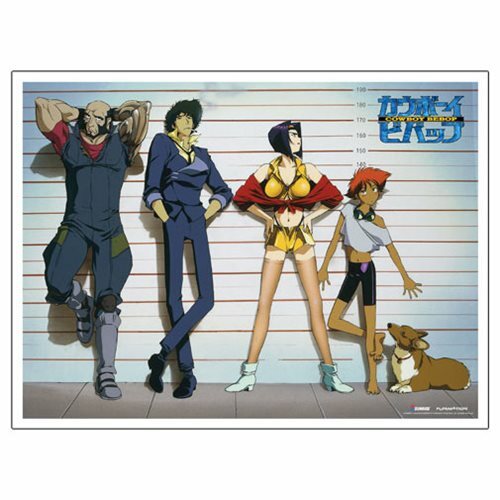 Spike, Faye, Ed, Ein and Jet are always toeing the line between outlaw and hero. This isn't their first Rodeo. This 100lb satin finish print measures 18 x 24-inches and comes to you in blisteringly gorgeous color. See you Space Cowboy... Ages 13 and up.